The Bourbon Reforms (Spanish: Reformas Borbónicas) were a set of economic and political legislation promulgated by the Spanish Crown under various kings of the House of Bourbon, mainly in the 18th century. The strengthening of the crown's power with clear lines of authority to officials contrasted to the complex system of government that evolved under the Habsburg monarchs. In particular, the crown pursued state supremacy over the Catholic Church, resulting in the suppression of the Society of Jesus in 1767 as well as an attempt to abolish ecclesiastical privilege (fuero eclesiástico). The reforms resulted in significant restructuring of the administrative structure and personnel. The reforms were intended to stimulate manufacturing and technology to modernise Spain. In Spanish America, the reforms were designed to make the administration more efficient and to promote its economic, commercial and fiscal development. The crown did so, hoping that it would have a positive effect on the economy of Spain. Furthermore, the Bourbon Reforms were intended to limit the power of Creoles and re-establish Spanish supremacy over the colonies. The reforms achieved mixed results administratively but succeeded in alienating the local elites of the Americas (who called themselves Criollos) and eventually led to the demise of all overseas dominions of the Spanish crown. At the end of the 17th century, Spain was an ailing empire, facing declining revenues and the loss of military power, ruled by a weak king, Charles II, who left no successor. Even before his death in 1700, the European powers were already positioning themselves to see which noble house would succeed in placing someone on the Spanish throne and thereby gain its vast empire. Louis XIV of France asked for and received the Pope's consent for his grandson, Philip of Anjou, a great-nephew of Charles, to take the throne. On his deathbed, Charles willed the crown to the French-born successor, but an international conflict ensued, known as the War of the Spanish Succession. After the war, the new French dynasty had to surrender in compromise with the Austrian Habsburgs some of the Spanish Habsburg Empire's European territories, and some maritime enclaves such as Jamaica, some of the Balearic islands and the continental stronghold of Gibraltar and grant a monopoly on the valuable African slave trade with the Americas to England. Philip V of Spain, the first king of the House of Bourbon, took measures intended to counter the decline of Spanish power. Even before the war, the state of the empire was precarious. When Charles II died, the military was practically nonexistent, consisting of only one division; the treasury was bankrupt; and there was no state promotion of commerce or industry. Philip V and his ministers needed to act quickly to reconstruct the empire. The early reforms were aimed at improving the economic and political structure of Spain. They sought to modernize agriculture, construction of ships, and infrastructure to monitor and incite economic integration and development on a regional and national level. These reforms unfortunately fell through for Spain. The socio-economic reforms left the country with almost no investment capital. That hindered the nationalization of industries and so disrupted the class system. It left almost no middle class and separated the lower and upper significantly. As a result of the early reforms, the country was dwindling and its progression rate put it behind its neighboring countries such as Great Britain and France. The failure of reform measures became evident when Spain, under Charles III, lost the Seven Years' War with Great Britain (1756–1763). Charles III's counselors sought more detailed reports of Spain's overseas territories/and now understood the need to take them fully into account. The new wave of reforms included larger exploitation of resources in the colonies, increased taxes, the opening of new ports allowed to trade only with Spain, and the establishment of several state monopolies. In Spanish America, José del Campillo y Cosío's Nuevo Sistema de gobierno económico para la América (New System of Economic Government for America) (1743) was a key text that shaped the reforms. He compared the colonial systems of Britain and France with that of Spain, as the first two nations reaped far greater benefits than Spain. He advocated reforming Spain's economic relations with its overseas territories to a system more like the mercantilism of France's Jean-Baptiste Colbert (1619–1683). 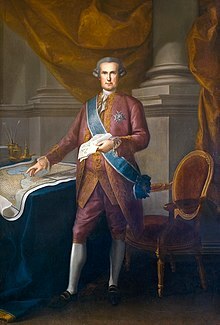 The bulk of the changes in Spanish America came in the second half of the 18th century following the visita general (general inspection) of New Spain (1765–1771) by José de Gálvez, who was later named Minister of the Indies. The reforms attempted in New Spain were implemented elsewhere in Spanish America subsequently. There had been one earlier reform in the creation of the new Viceroyalty of New Granada (1717), carved out from the Viceroyalty of Peru to improve the administration of the overseas possessions. The new viceroyalty was created initially in 1717, suppressed just six years later, and then permanently established in 1739, still earlier than the reforms of the late 18th century. It was an administrative change that reflected the recognition (as early as the 16th century) that the northern area of South America had certain challenges of distance from Peru. [a] There had been earlier creations of captaincies general in Guatemala and Venezuela, marking an increase in their importance. In 1776, a second jurisdiction, the Viceroyalty of Rio de la Plata was also carved out of the Viceroyalty of Peru in 1776 as part of José de Gálvez's comprehensive administrative reform. In the same year, an autonomous captaincy general was also established in Venezuela. Under Charles III, colonial matters were concentrated in a single ministry, which took powers away from the Council of the Indies. Furthermore, the advances Americans (Criollos) had made in the local bureaucracy in the past century and a half, usually through the sale of offices, were checked by the direct appointment of (supposedly more qualified and disinterested) Spanish officials. The Bourbons also made the government more secular. The political role of the Church was diminished but never removed completely. Unlike the Habsburgs, who often selected churchmen to fill political offices, the Bourbons preferred to appoint career military officers. The process reached a high point with the Suppression of the Society of Jesus in 1767. The Jesuits were one of the wealthiest religious orders and had been instrumental in the missionary work carried out in the Americas and the Philippines. Because they had major rivals in the other orders of the church, their dismissal was greeted with covert approval. The crown also tried to place the more secular clergy in the church hierarchy, reversing a trend since the beginning of the colonial period of having the regular clergy fill these posts. Overall, these changes had little effect on the Church as a whole. Towards the end of the Bourbon reign, on the "eve of independence, the crown attempted to confiscate church property, but the measure proved hard to enforce." The Catholic Church played a major role in the Bourbon Reforms, specifically in the vice royalties. A vice royalty is basically a territory governed by a viceroy, a ruler exercising authority in a colony on behalf of a sovereign. The Catholic Church was the most widely regarded church among the vice royalties of Spanish America, and the new colonies brought forth an opportunity to spread Catholicism. The Catholic Church came about as a religious and political entity in the Iberian Peninsula in the fifteen and sixteenth centuries. From here, missionaries who possessed the banner of Christ came to the Americas for a fresh, new environment for Christianity to thrive. There was a clear alliance between the Church and the Crown in Spanish America. Ecclesiastical institutions were allotted some freedom from the Crown. The fuero eclesiástico, or clerical immunity, granted clergy members immunity from the royal courts. According to this fuero, any civil crime or criminal offense will be heard in front of the ecclesiastical instead of the royal or local court. This privilege was then extended to all clerics, nuns, priests, monks, and friars. This fuero extended to the land owned by the individuals and institutions which means the Spanish Crown could not exercise justice physically nor collect taxes. Missionizing in maroon societies in Spanish America became essential for the nature of politics of African resistance in the Iberian Atlantic world. The Maroons were Africans who escaped slavery in America and then mixed with the indigenous people. In the sixteenth century, missionizing native peoples was seen as a moral conquest. It was used as a tool of pacification among Africans who escaped slavery and made their home in Spanish America. In Ecuador, Santo Domingo, Mexico, and Panama, imprinting and “pacifying” maroon societies was very dependent on the spread of Spanish Catholicism. Pacification is an attempt to create or maintain peace through agreements and diplomacy. Christianization often conflicted with the relationships the Maroons created with Catholic clerics and created tensions. Spanish cultural hegemony functioned to imprint submission to religious practices. Maroons, as well as other Africans, rapidly learned that Catholicism was necessary for political legitimation. However, bringing Christianity to light did not interrupt the development of localized practices that observed religious traditions of Africans and indigenous Americans. Maroon communities on the coast of colonial Ecuador learned how Christianization became a tool for Afro-Amerindian rebels in Spain's empire and in the African diasporic world. "While an Afro-Christian diasporic identity may have been in its formative stage during the sixteenth century, transfers of knowledge between the old world and the new were readily apparent in European interactions with Maroons on the Esmeraldas coast. This case study of the Maroons of colonial Ecuador will allow us to see in three acts, or phases, how clerical intervention and the discourse of Christian conversion shaped colonization over time: ultimately yielding a modus vivendi between rebel African slaves and Spanish colonial authorities." (Bryant, O'Toole, Vinson, 2012: 96–97). The reforms caused many religious tensions as well as social tensions. One of the most major modifications in the Bourbon Reforms was the expulsion of the Jesuits. The Society of Jesus, the members being the Jesuits, had become one of the most powerful organizations in the colonies at the time and had a distinct amount of power until the Bourbon Reforms. 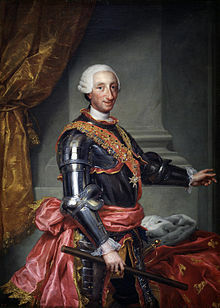 In 1767, Charles III of Spain ordered the expulsion of 2,200 Jesuits to be removed from the vice royalties. Of the 2,200 that were exiled, 678 were from Mexico (New Spain) with 75% of the Jesuits from Mexico being Mexican-born. The expulsion of the Jesuits which was frowned upon among many colonists. Many historians believe that the Bourbon Reforms would bring forth self-confidence for American-born Spaniards. The expulsion of the Jesuits confronted the liberal ideology of the nineteenth century and conservative positions of the time. The expulsion represented aspects of liberal ideology as a need to break away from colonial past, progress and civilization as attainable objectives, education as a neutral term of religious instruction, and the separation of the Catholic Church and state. These factors played a major role in the modernization of Spanish America. Spanish soldiers went to Mexico and rounded up the Jesuits to be exiled to Italy. The Jesuits were then placed on Spanish warships and sent to the Italian port of Civitavecchia. Upon arrival, Pope Clement XIII refused to let the prisoners set foot on papal territory. The warships then went to the island of Corsica, but due to a rebellion on shore, it took a while to let the Jesuits onto the island. Bernardo Tanucci, adviser to Charles III, did not welcome the Jesuits into Naples and the Jesuits were threatened with death if they crossed the border of the papal states back to Naples. Historian Charles Gibson stated that the expulsion of the Jesuits was a "sudden and devastating move" by the Spanish Crown to assert royal control. Though the legislation passed by the Bourbons did much to reform the Empire, it was not enough to save it. The racial tensions continued to grow and massive discontent lead to a number of revolts, the most important of which were the Rebellion of Túpac Amaru II and Revolt of the Comuneros. Criollos, Mestizos, and Indians were among the most common to be involved in such revolts. Over time, these uprisings led to the fight for the independence of the American colonies. ^ For example, Amazonas is named after the Amazon River, and was formerly part of the Spanish Viceroyalty of Peru, a region called Spanish Guyana. It was settled by the Portuguese in the early 18th century and incorporated into the Portuguese empire after the Treaty of Madrid in 1750. It became a state of the Brazilian Republic in 1889. ^ James Lockhart and Stuart B. Schwartz, Early Latin America. New York: Cambridge University Press 1983, p. 347. ^ "Memoria chilena" Archived March 12, 2007, at the Wayback Machine. Las reformas borbónicas (1700–1788). ^ "Reformas Borbónicas en el Virreinato del Río de la Plata" Historia Argentina-Planeta Senda. ^ Merrill, Tim L. and Ramón Miró, editors. "Road to Independence", Mexico: A Country Study. Washington: GPO for the Library of Congress, 1996. ^ "History of Latin America". Encyclopædia Britannica Presents Hispanic Heritage in the Americas. ^ Schwaller, John Frederick (2011). The history of the Catholic Church in Latin America : from conquest to revolution and beyond. New York: New York University Press. pp. 13–16. ISBN 9780814740033. ^ Guerrero, José David Cortés (1 January 2003). "The expulsion of Jesuits from Nueva Granada in 185Oas key for understanding". Anuario Colombiano de Historia Social y de la Cultura. 0 (30). ISSN 0120-2456. ^ Chowning, Margaret (Feb 2005). "Convent Reform, Catholic Reform, and Bourbon Reform in Eighteenth-Century New Spain: The View from the Nunnery". Hispanic American Historical Review. 85 (1): 3–7. ^ Gómez Alarcón, Arturo. "Las Reformas Borbónicas en el Perú" Archived October 28, 2005, at the Wayback Machine. 2005, Historiaperu.bitacoras.com. Lynch, John. Spanish Colonial Administration, 1782–1810: The Intendant System in the Viceroyalty of the Río de la Plata. London, Athlone Press, 1958. This page was last edited on 8 February 2019, at 13:44 (UTC).